Zhan Zhuang (Standing as a Tree) I and II -- one of the most powerful in building up your energy and at the same time easy to learn form of Qigong. 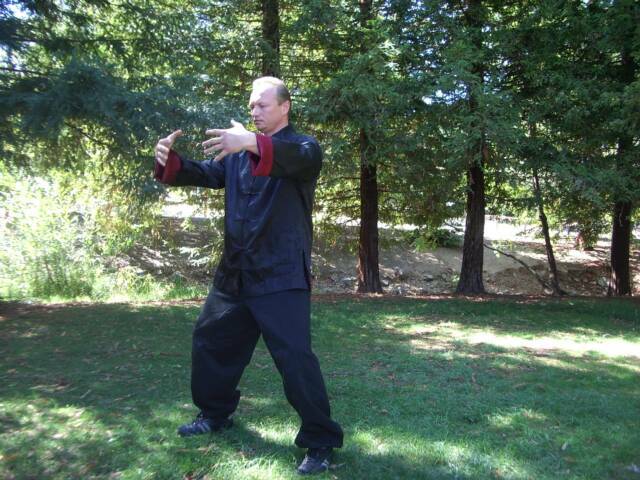 Guigen Qigong -- "Returning to the Roots", ancient self healing form based on 5 Elements or 5 Changes concept (Wu Xin). 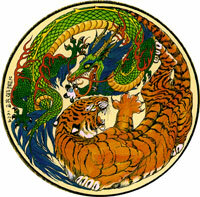 Yi Jing Bagua Meditation -- eight meditations based on 8 Trigrams. The meditation follows Post Heaven cycle and are designed in ancient times to harness the healing energy symbolized by each trigram. It will help to decrease stress level, get rid of insomnia, enhance energy of your organs and strengthen your spirit. Principles of preserving and building up your energy through adjusting your diet and life style from Chinese Medicine stand point. 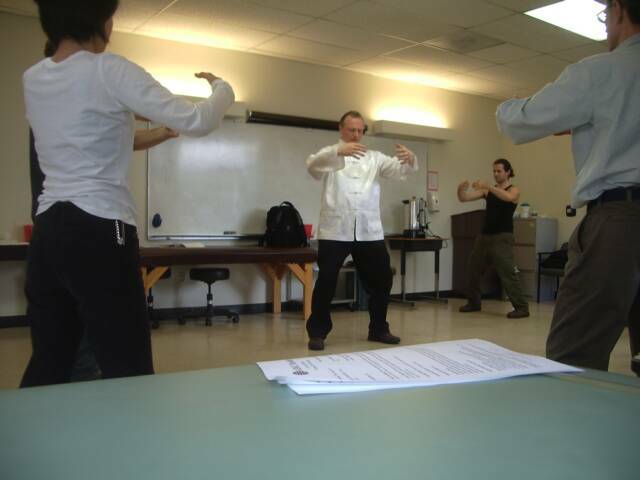 You can learn there how to practice correctly Qigong and you will be able to help your friends, family members or patients by teaching them how to improve their health with simple Qigong exercises. For more current information on schedule and pricing -- contact me via email. Qigong practice is a great way to fill your body with fresh morning energy for all day, or great evening workout for your body and mind relaxation, where you can get rid of your stress accumulated during the day and prepare your body for nice restoring sleep. This is the way to keep your body and spirit healthy and strong for a long time, and prevent need in unnecessary doctor's visits. "He who loves the world as his body may be entrusted with the empire. He who knows that enough is enough will always have enough." Thank you very much for visiting my web site. I look forward to help you in many ways! Seminar with Grandmaster Chen Qingzhou.